It is another fully loaded jam from Spiritualbeatz and as you all know, they got it locked down with this new hit. Coming together in this collaboration with some of the new talents in the Spiritualbeatz music brand, the new single “Power” showcases what you may call the fresh acts all loaded and ready to hit the music industry. 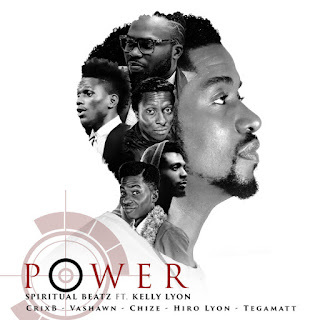 Power features CrixB, Vashawn, Chize, Hiro Lyon, Tegamatt and of-course led by the boss and prolific producer Kelly Lyon who is known for creating banging urban/street sounds for gospel music. Download, listen and be inspired. and share.